The Man of Action (7500) was essentially a flocked version of the Action Soldier. He was generally available in the same brown flock as the Land Adventurer and Talking Adventure Team Commander, but occasionally turns up in a blond version. These blondes are likely overstock of Talking Astronaut head. Unlike the other 1970 figures, the Man of Action is generally found with an old school military era metal GI Joe dog tag instead of the plastic AT medallion. 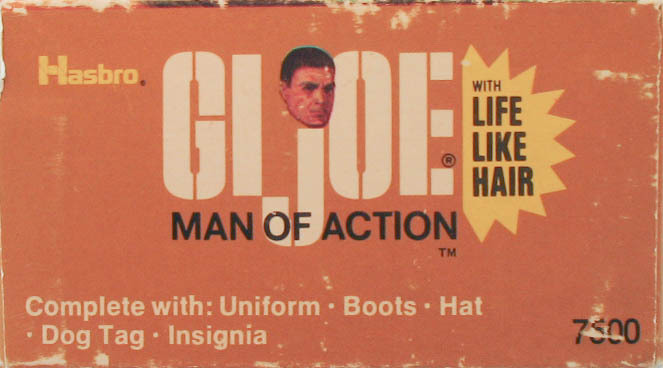 The Man of Action box advertises military era sets, of which Hasbro may have still had residual stock. The unavailability of these great sets during my childhood GI Joe phase were one of things that drove me to collecting later in life. 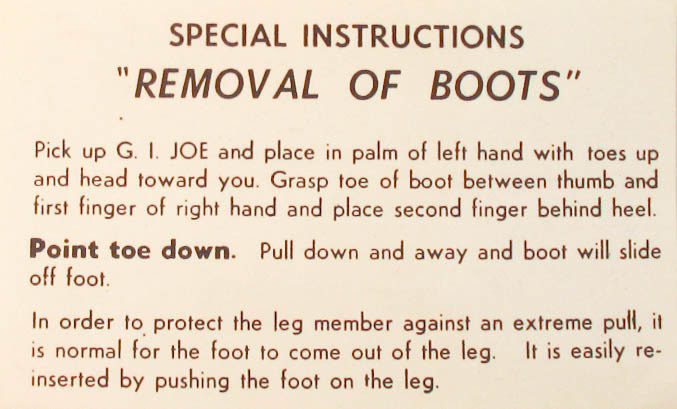 You can find more information about and images of the Frogman, Ski Patrol, Crash Crew, and Breeches Buoy sets elsewhere on the site. Below, an example of the blond version. The MOA was the only AT era figure to come with a cap as standard equipment. 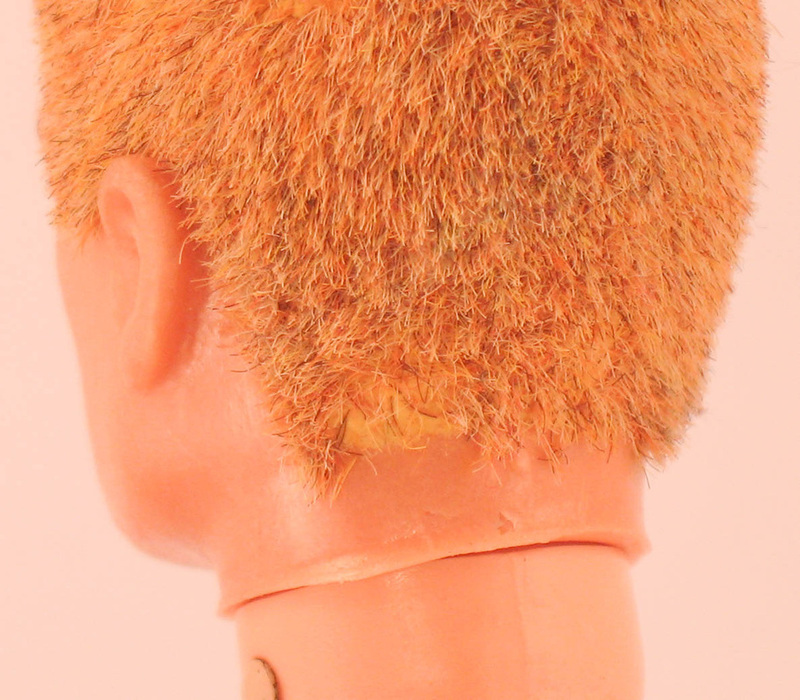 Some of the early Adventure Team Joes were 1969 release figures with flocking applied over their original painted heads. Note the tiny bit of blond paint peeking out under the flocking of this Man of Action. Also note the painted rivet on his neck.